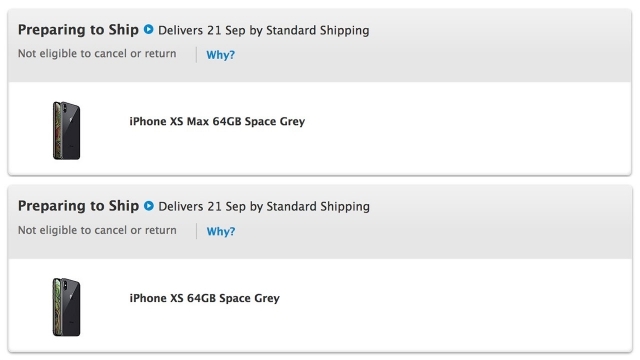 With the release of the iPhone XS and iPhone XS Max and accepting the pre-orders for the iPhone XS, the company now has started preparing those pre-orders for shipping. The flagship device will be delivered to customers starting September 21st. If you place a pre-order now, you can expect to get the new iPhone between Oct 1st and Oct 8th (this may vary depending on model, carrier, color, and storage). Interestingly, customers who pre-ordered the Apple Watch Series 4 are yet to see any change in their order status. Nonetheless, be rest assured that you will still get your Apple Watch Series 4 on September 21 i..e on its launch day. Have you pre-ordered your iPhone XS yet ? Share your thoughts with us in our comment section below.